Myth: Rescue pets are obviously not good pets, or else their original owners wouldn't have gotten rid of them. Family issues; divorce, allergies, loss of job/house, etc. Myth: Animals from abusive homes will never be good pets because they have been mistreated. Most animals coming from abusive homes will typically make a full emotional recovery - with proper care, attention and love. In fact, many of them are so grateful to be rescued from their previous situation, they end up being more devoted and loyal than animals coming from non-abusive homes. Myth: All animals in rescue are sickly or unhealthy. Myth: It's better to get a puppy because with an older dog you never know what you're getting. Seems to make sense, except the exact opposite is often true. All puppies are cute; all puppies love everyone. It’s not until a dog hits sexual maturity that some innate behavioral problems can start to surface. Many times people who paid thousands of dollars for a purebred puppy, end up with a two year old dog that is biting people, attacking other dogs, or engaging in some oddball neurotic behavior. Purebred is not the same as well bred, and sometimes it feels like the disreputable breeders grossly outnumber the responsible ones.The truth is this: when we list a 4-month-old puppy, we can only guess what kind of adult she’ll make. When we list a 2-year-old dog, we can predict pretty accurately what kind of dog you’ll have forever. Myth: You never know what you're getting with a rescue dog. 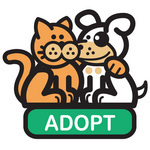 Its true that the past medical history of an animal adopted from a rescue is not always able to be tracked down, but our pets have the advantage of being housed in foster homes, where their temperament and health can be observed and issues identified and addressed prior to going to a forever home. Myth: Rescue dogs won't bond with you. Myth: All rescue dogs have behavior problems. There is a difference between a dog who needs some training and a dog who has serious behavioral problems and most dogs just need training. Again, dogs are usually surrendered to shelters for a myriad of reasons; lack of money or a major lifestyle change are the top reasons. Sometimes previous owners have not invested a lot of time into their dogs... especially if they are between puppy-hood and 1.5 years old. The most common issues you will find in a rescue dog are simple things that some training and patience will overcome. Things like walking properly on a leash, house manners and basic obedience are easily solved with positive reinforcement training. With rescue dogs in foster homes these problems are identified and training started before the adoption. Myth: It's so hard to adopt a rescue dog. OK, so this isn't a myth, but more of a complaint. It should be hard to adopt a dog or any animal for that matter. Pets are a lifetime commitment. 10-15 years, not the lifespan of a purse. Rescues should have the animal as their number one priority. These animals have been let down and abandoned once already, it doesn't need to happen a second or third time.